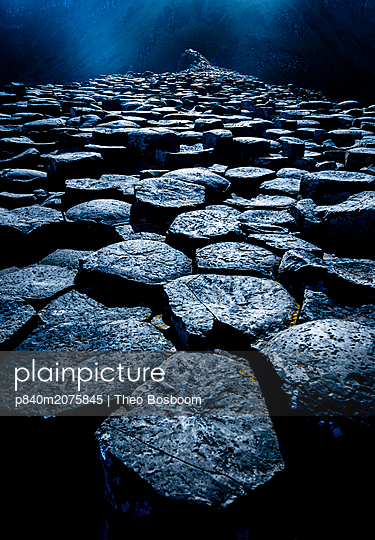 p840m2075845 - RS - Giants Causeway at night, lit by full moon. County Antrim, Northern Ireland. Winner of the Landscapes Category of the GDT European Wildlife Photographer of the Year 2017.